CINCINNATI, OH -- A leader of the state's special board on community-police relations said Friday she's increasingly concerned about safety at the upcoming Republican National Convention in Cleveland. 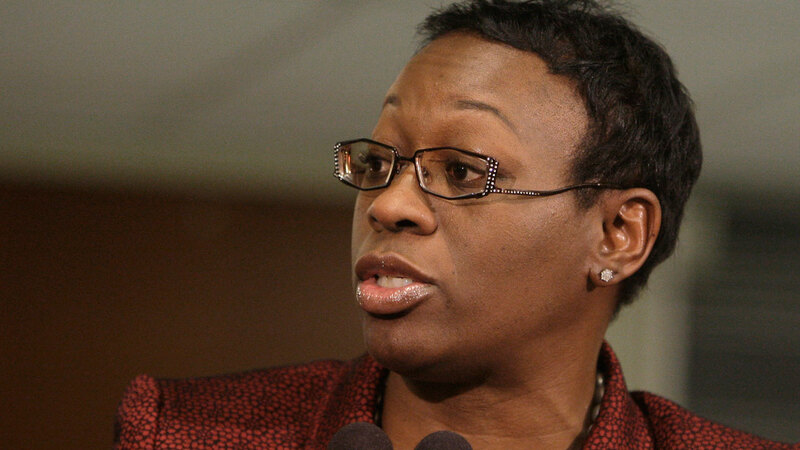 "I'm nervous as hell," said Nina Turner, a former Democratic state senator from Cleveland who co-chairs the Ohio Collaborative Community-Police Advisory Board, an initiative of Republican Gov. John Kasich. Cleveland Police Chief Calvin Williams assured reporters Friday evening that the city is prepared. "We have enough officers," he said at a news conference, where he and the city's mayor announced a tip line for people to report suspicious activity as the four-day political event approaches. For Turner, safety at the convention was already personally worrisome. Her son is a law enforcement officer who will be on duty and the convention is coming to "my backyard," she said. There now is added worry after a sniper attack killed five Dallas police officers Thursday night during a protest over fatal police shootings of black men this week in Louisiana and Minnesota. And some law enforcement agencies have rescinded offers to send officers to help at the convention. Turner said the convention "was going to be a powder keg all along." "This just puts more gasoline and dynamite and the match on top of all of that," she said. The July 18-21 convention, featuring Donald Trump as the presumptive Republican presidential nominee, already was expected to attract large groups of protesters, including supporters and opponents of Trump and advocates for other causes. Authorities in Cleveland, which has been roiled in recent years by police shootings of blacks that helped lead to Kasich's initiative, have insisted they're ready to put on a safe convention. John Born, the Collaborative's co-chair and Ohio's public safety director, said federal, state and local authorities have been working together on thorough preparations. "I will tell you that we try to do everything we possibly can to prepare for any potential action that can occur," Born said. Williams urged residents on Friday to call the tip line if they see something out-of-place. "We don't want to spur a panic," he said. "We don't want people to call every time they see a rent-a-car in the neighborhood. But you know what belongs in your neighborhood." Meanwhile, a spokeswoman for the Franklin County sheriff's office said Friday it had withdrawn its offer to send more than 30 deputies to Cleveland to assist with convention security, saying the sheriff hadn't received all the information requested. Several other departments had earlier withdrawn assistance offers over insurance coverage questions and other issues. Some police departments around Ohio were adopting special policies heading into the weekend aimed at increasing officer safety. Cincinnati police spokeswoman Tiffaney Hardy said police will use two-officer patrols throughout the weekend and then will reevaluate. A police union official said some officers had expressed a desire to be in two-officer cars instead of alone for increased safety. Union officials elsewhere said the Franklin County sheriff's office was switching to two-officer cars for its patrols, while the president of the Cleveland Police Patrolmen's Association said the department sent out an order late Thursday taking one-officer cars off the street and having officers double up. Toledo police also planned to double up on patrols.